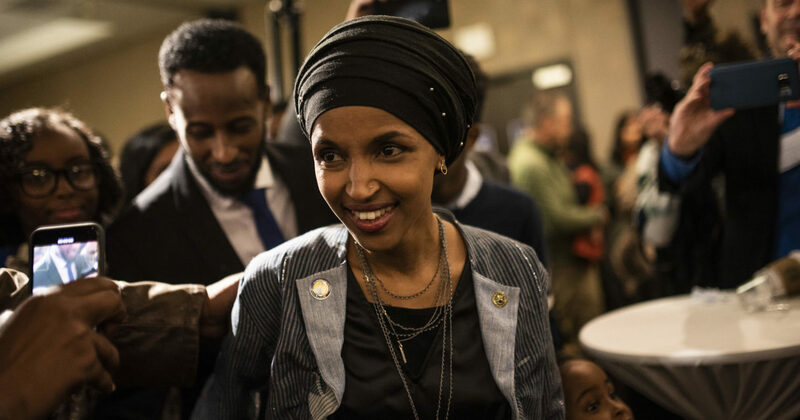 Democratic Minnesota Rep. Ilhan Omar claimed a media outlet misquoted her comments about former President Barack Obama, but audio the freshman congresswoman posted herself proved she wasn’t misquoted. The Muslim congresswoman, who has seemingly split the Democratic Party in two over her recurring remarks that many consider anti-Semitic, was the center of media attention again Friday in a story that quoted her shredding Obama as a phony. As outrage increased, Omar attempted to haul back her comments by suggesting she had never said those things — but audio tape she posted in an attempt to defend herself proved that she had, Fox News reported Saturday. Following intense media scrutiny, Omar went back to Twitter to say she had been a victim of media manipulation, tweeting: “Exhibit A of how reporters distort words. I’m an Obama fan! I was saying how Trump is different from Obama, and why we should focus on policy not politics. This is why I always tape my interviews,” she fumed, attaching an audio file of the interview. But the file confirmed the veracity of the interview. Politico journalist Tim Alberta tweeted: “Exhibit A of how politicians use the media as a straw man to avoid owning what they said. Your tape…supports what I wrote 100%. So does my longer tape. It’s beyond dispute. Omar had pulled down her tweet by Saturday afternoon. In the audio, Omar argues that Obama and Trump are two sides of the same coin.